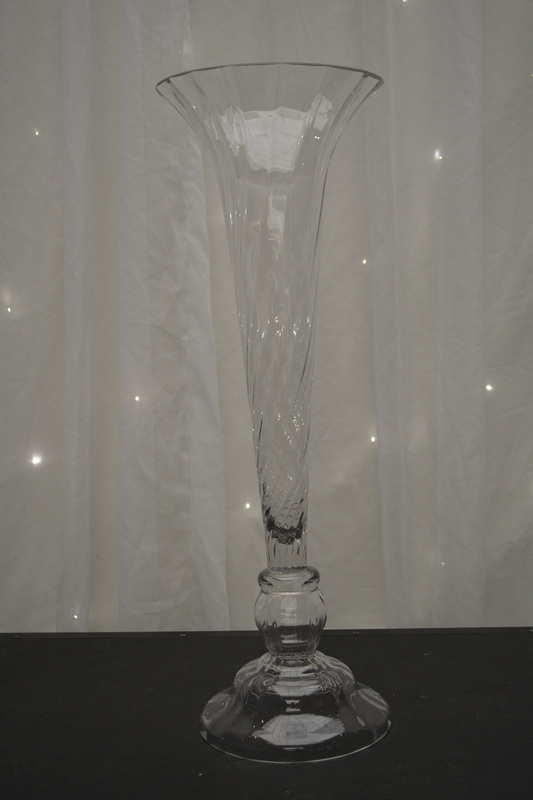 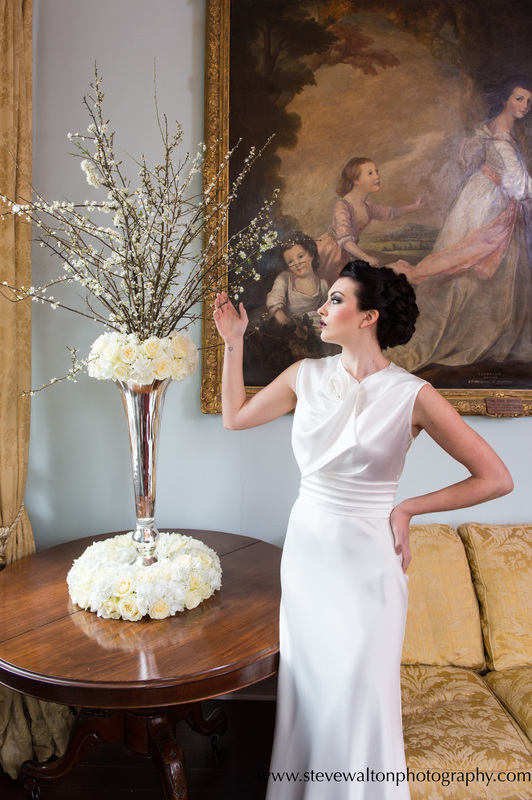 This 80cm footed glass vase centrepiece is such a beautiful design. 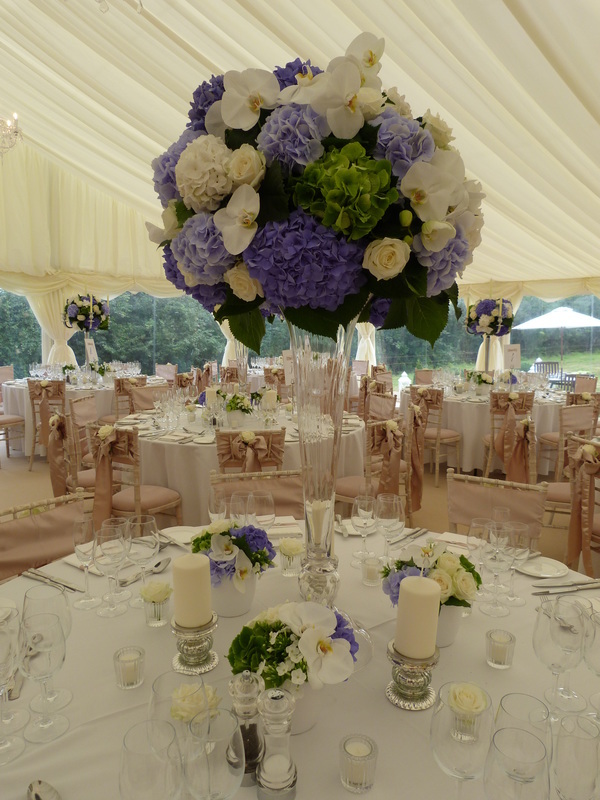 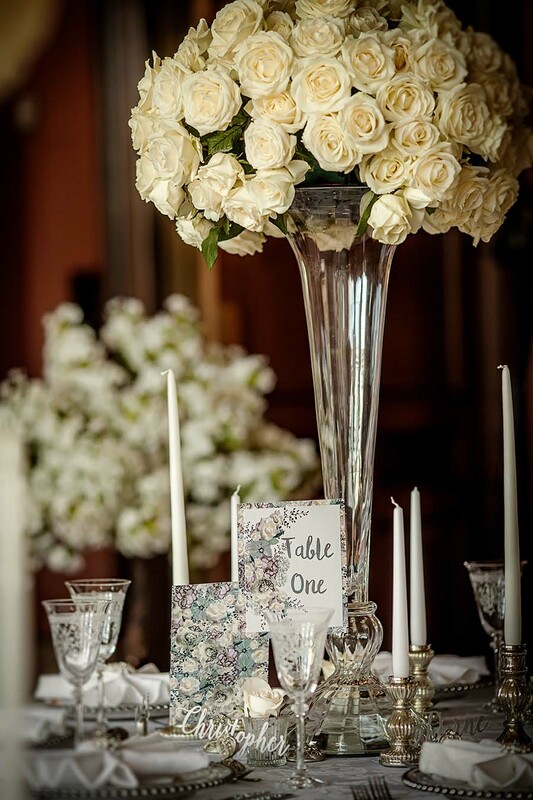 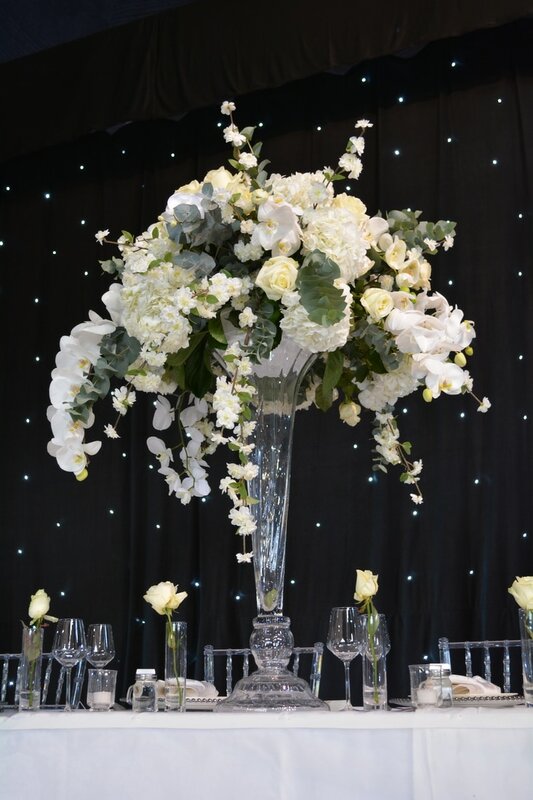 The large fluted opening makes it perfect for most floral arrangements.. Glass centrepieces bring an elegance to your wedding tables with the added bonus that your guests will feel that they can have uninterrupted conversation across the table. 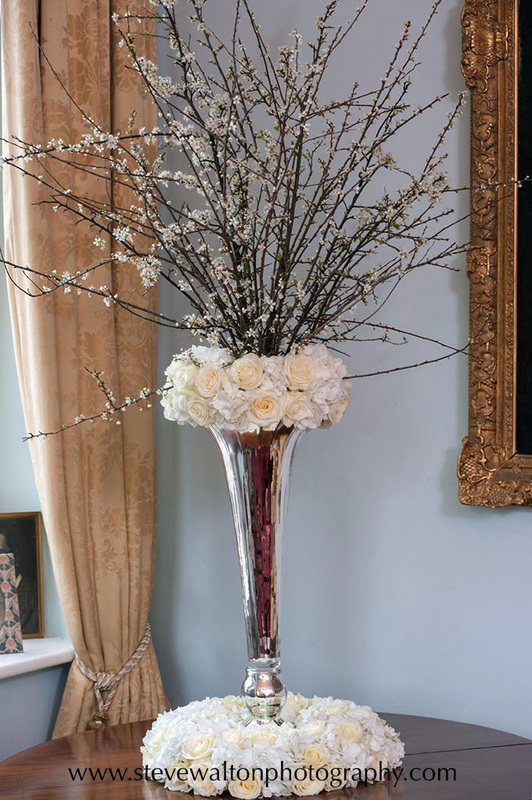 Above blossom and orchid arrangement by Julia Dilworth, below 80cm glass silvered vase with a stunning blossom arrangement also by Julia www.juliasflowers.co.uk.